What is the Role Of Amniotic Fluid During Pregnancy? One of the most dramatised occurrences of pregnancy is the “water breaking”. Though it is highly exaggerated in on-screen representations of pregnancy, the “water breaking” or leaking as is more real life appropriate is a very critical sign of the approaching end of your pregnancy. The “water” in question here is actually the amniotic fluid. Water is like liquid containing many essential nutrients to keep your baby well and healthy. Within the first few weeks, the amniotic fluid primarily constitutes water with some electrolytes. However by the end of the first trimester, proteins, fats, carbohydrates and urea also forms a percentage of the liquid. 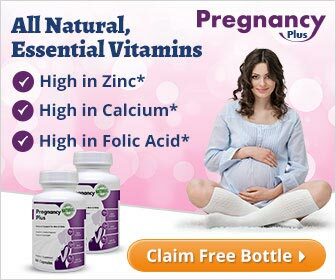 All these nutrients are there to aid the growth of the foetus. Amniotic fluid also provides a soft cushioning effect to the foetus during movement and locomotion hence preventing injury. Amniotic fluid is produced by the placenta of the mother and passes through the thin membranes by a combination of various forces at work. During the second trimester, the quantity of the amniotic fluid begins to increase and its composition changes. The exact amount depends on the circulation factors as well as the nature of the mother and the foetus. How Much Amniotic Fluid Should Be Needed? During a normal pregnancy, the average volume of amniotic fluid can be about one litre. However, this is no hard and fast value as the volume is highly subjective. The volume of the amniotic fluid can vary at different stages of foetal development. The total volume of water during the second trimester (including the fluid in baby, placenta and the amniotic fluid) can reach up to five litres. A lot of increased weight during pregnancy is due to all the fluids. How Does Amniotic Fluid Keeps Your Baby Healthy? Amniotic fluid is a marvel for doctors and researchers. Despite being so simple, it serves a variety of roles during pregnancy. The surrounding fluid movement allows the baby to move around. A phenomenon often paralleled to “floating”. This is extremely essential for the development of bones and joints of the foetus. It also acts as a lubricant between the amniotic sac and the foetus. If the amniotic fluid were less in quantity or absent, there would be an obvious friction between the baby and the surroundings. Amniotic fluid restrains a relatively stable environment around the foetus. There might be a surge or change in the body temperature of blood pressure of the mother. The presence of amniotic fluid protects the baby from a sudden temperature change. A stable surrounding is essential for the healthy growth of the baby. Also, the amniotic fluid acts as a shock absorber protecting the body from jerks during movement. The foetus also ingests the amniotic fluid, which passes through its digestive system, kidneys and then is excreted back into the sac in the form of urine. This is a mechanism by which the foetus can set his internal system in motion for use when it comes to life. By calculating the amount of amniotic fluid, doctors can predict whether the foetus has a problem with its swallowing reflex. How Will Women Know If They Have Low Levels And High Levels Of Amniotic Fluid? A routine examination with the doctor will show up any disruptions in the amniotic fluid levels. The doctor will perform a routine ultrasound check that will show any abnormal levels. There are a number of factors that can contribute towards the disruptions in the levels of the amniotic fluid. However, the exact reason differs from patient to patient. Health conditions such as hypertension and diabetes increase the risk of disruptions in amniotic fluid levels. What Will Happen If A Woman Is Diagnosed With Oligohydramnios? Oligohydramnios is the condition when the level of amniotic fluid is less than 5 cm. It can be caused by a premature leaking of the amniotic fluid. Other contributory factors can include high blood pressure of the mother. Some women can also genetically be more prone to Oligohydramnios. A possible temporary relief can be provided by the procedure known as amnioinfusion. However, the effect is usually short-lived. If the foetus is developed enough, doctors usually take the decision of delivery via C-section as it is much safer for the baby. Must Watch: What causes oligohydramnios? Will I get it again? What Will Happen If A Woman Is Diagnosed With Polyhydramnios? Polyhydramnios is the exact opposite of Oligohydramnios. It is characterised by an overproduction of the amniotic fluid. If the fluid levels are higher than 25 cm mark, then the condition is considered to be Polyhydramnios. In about 60% of the pregnancies, it is difficult to pinpoint the exact reason for Polyhydramnios. However, there is an increased likelihood if the mother is diabetic. The condition can be extremely dangerous for the foetus. High amniotic fluid levels can lead to swallowing and kidney problems for the baby. It is very important to check regularly with your doctor if your amniotic fluid levels are on the rise. The exact treatment varies person to person. Each pregnancy is different. There are different approaches to the care philosophy and it varies from culture to culture. Whatever might be your school of thought, it is essential to connect with your doctor and keep an open communication. Always report anything unusual to your doctor and plan regular check-ups. Pregnancy is not a time for taking risks. Surround yourself with your loved ones and you’ll sail through the pregnancy easily.